This section contains photographs and very short biographies of Chazanim and Choirmasters. They are individuals about whom I have not yet found sufficient material to assign to them a complete page. If you have information to add to this, i would be very pleased to hear from you. Chazan Halter was appointed to his first post in Stertsuf, near Lodz, when he was just 17. He remained there for two years and then became Chazan at the Bikur Cholim Synagogue in Lodz.He came to England in 1907 to the Shaw Street Synagogue in Liverpool after which he served the Central Synagogue in the same city.In 1920 he moved to the Canon Street Road Synagogue in east London, where he remained for 30 years. 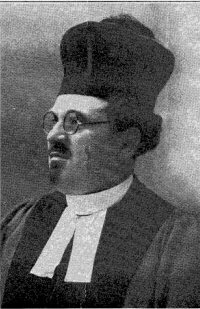 Chazan Halter served as President of the Chazanim Association of the Federation of Synagogues, as well as of the Choral Section of the Association of Chazanim of Great Britain. He produced three booklets of his compositions under ther title ‘Imrei Shefer’, (1932, 1939 and 1945). These contain solos pieces, as well as choral arrangements. Leo Low was born in Volkovysk, Grodno Province, and, as a youngster he sang in the choirs of Noah Zaludkowski of Lida and Jacob Berman of Bialystok, where he gained his early musical training. 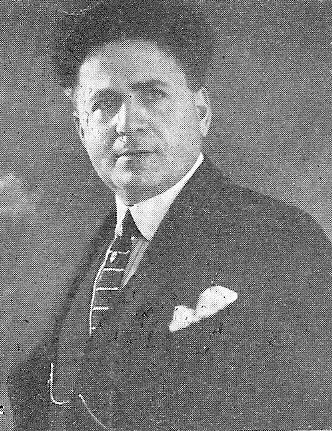 In 1899 he graduated from the Warsaw Conservatory and became Kappelmeister of a military orchestra and the conductor of Jewish and non-Jewish operettas.At the age of 24, he became choir master in Synagogues in Vilna and Bucharest, and in 1908 he became choir leader of the famous Tlomacki Synagogue in Warsaw, where Gershon Sirota was Chazan. While he was employed there he also became conductor of the Hazomir Choral Society and did much to pioneer the advancement of Jewish folk song and liturgical music. He wrote articles in the local newspapers defending Jewish music as an art form and was supported by such poets as Y. L. Peretz.He was instrumental in organizing and conducting various choral groups such as the Choral Society of Paterson, N.J., and the National Workers Farband Choir in New York City. He also held the post of choirmaster at Temple Beth-El of Brooklyn and at other synagogues in the United States. 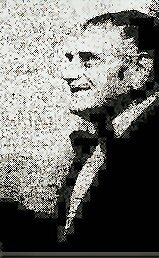 From 1932 to 1938 he lived in Palestine, where he led a choral group called Tel Aviv. Low’s musical compositions include many choral settings for the liturgy in the yearly cycle as well as arrangements ol Jewish folk songs. Cantor Jacob Goldstein was born into a Chassidic family in Warsaw, Poland, in 1879. As a youngster he was nurtured on the melodies of the first Moditzer Rebbe, Rabbi Israel Toub, and his father realised early on that his son was destined for a career in Synagogue music.He received his musical training at the Warsaw Conservatory.In 1917, at the age of 20, Cantor Goldstein became Second Cantor of Warsaw’s Nozik Street Synagogue, where Mordechai Hershman was First Cantor. 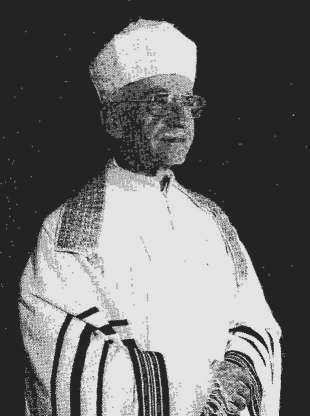 He served as the Head Cantor of the Taharat Hakodesh Choral Synagogue, one of the most important of Vilna’s Synagogues, and in 1925 he succeeded one of his teachers, the cantor and composer, Abraham Moses Bernstein. Subsequently, Chazan Goldstein succeeded the famed Cantor Zaidl Rovner in Rovno, Latvia. In 1933 Cantor Goldstein moved to London, where he served as Cantor of the renowned New Synagogue, Egerton Road, Stamford Hill. During his time there he was much in demand for concerts and performances. 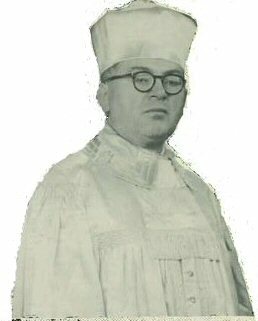 After World War II, Cantor Goldstein toured Palestine and then became the Cantor of Congregation Sons of Israel in Brooklyn, where he served until he died in 1961. Mark Hertzberg was born in London and was educated at the Eitz Chayim Yeshiva. He started singing in Synagogue services at a very young age and was only ten years old when he sang at the opening of the Poplar Hebrew Congregation, and then at the opening of the Shadwell Lane Talmud Torah.At the age of 16 he was appointed choirmaster of the Philpot Street Great Synagogue and conducted the choir at the Pavilion Theatre, Whitechapel, when Cantor Gershon Sirota came to visit.Whe he was 19 he was appointed Chazan at the Chevra Shas Synagogue in Old Montague Street and remained there for five years after which he went to spend a short time in Glasgow. In 1935, when he was jut 25, he returned to London to become the Reader of the St John’s Wood Synagogue, where he stayed for the next 40 years until his retirement. Outside the Synagogue, his main interest lay in Boy’s Town, Jerusalem, and as chairman of the British Friends of that organisation, he was responsible for helping them to raise very large sums of money to support that organisation. For very many years Mark Hertzberg was a very popular and well-liked figure on the Anglo-Jewish scene. Yizchak Rafael Lerman was born on 23rd Menachem Av 5682, in the old city of Jerusalem into a Chassidic family of rabbis, Chazanim and bakers. He was a 5th generation Sabra and was descended 22 generations from the famous Rabbi Samuel Eidels, known as the Maharsha (1555-1631).As a child he sang as a boy soloist in the Shirat Yisrael choir of Chazan Shlomo Zalman Rivlin with whom he frequently appeared at concerts, and he sang in many Synagogues around Israel.He studied voice production with Chazan Mann who was well-known as Cantor of the main synagogue in Haifa. As well as serving as a Chazan, Yitzchak Lerman was a baker and worked in the ‘Lerman’s Bakery’ in the Old City. In 1964 he moved to South Africa where he conducted services in the Germiston Synagogue. He was at the Doornfontein shul [the Lion shul ] for 3 years, and from 1969 he officiated at the Glenhazel Hebrew Congregation, which he served for some 22 years. He became known as a fine Bar Mitzvah teacher and trained more than 1000 boys! He married Miriam Sack in 1966 and they had four children. He died on 17th Kislev 5766.